The In-Roof system offers both an attractive in-line finish and a weathertight installation when mounting solar PV panels of all sizes and shapes within the roof. The In-Roof system offers small numbers of parts, intuitive installations and quality components for a professional, long lasting and good looking installation. Solar panels from most manufacturers, including thin film panels and frameless laminates can be mounted in either portrait or landscape. 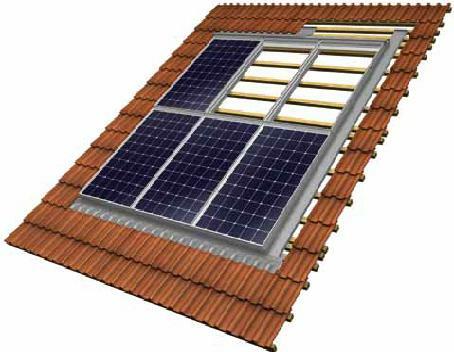 Zeta is a low profile solar panel framing system that is secured directly to roof battens. A very low profile and flush finish, designed for the PV array to be bordered by either tiles or slates.